Only Watch is a biennial charity auction of unique timepieces sold for the benefit of research into Duchenne muscular dystrophy, promoted by the Monaco Association against Muscular Dystrophy under the patronage of Prince Albert II of Monaco. The 6th edition will take place on 7 November 2015 in Geneva. Before the auction, there will be a promotional world tour starting in Monaco and continuing with stops in Europe, the United States, and Asia. 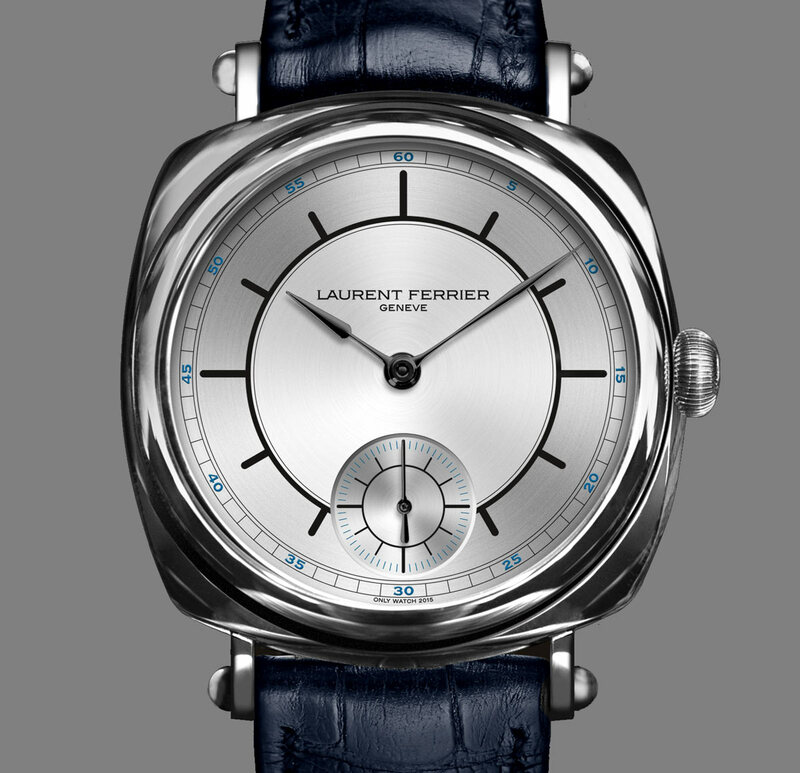 Some forty brands have already confirmed their participation in Only Watch 2015 and Laurent Ferrier is the first brand to present its unique timepiece developed for this special occasion: an unprecedented version of its latest model, the Galet Square, characterised by a two-tone silvered sector dial typical of the late 1930s and new straight lugs. A transferred circle featuring curved markers divides the vertical satin-brushed centre from the circular satin-brushed exterior of the sector dial offering a beautiful variety of shades and textures. The singularity of the dial is reinforced by the "Only Watch 2015" inscription appearing in the spot traditionally reserved for the word "Swiss". 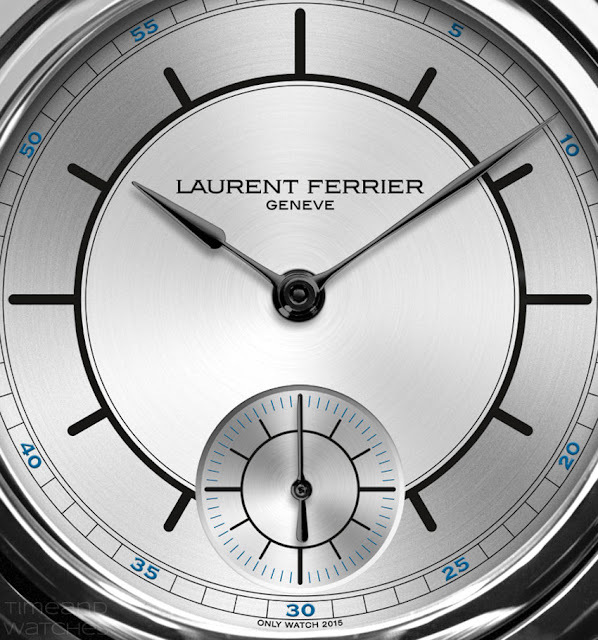 The black "assegai-shaped" gold hours and minutes give another distinctive touch. The cushion-shaped 41 x 41 mm case is made from stainless steel and introduces new lugs compared to the standard Galet model: they are not only straight but they are also enriched by gold half spheres. This unique example of Galet Square is driven by the exceptionally finished and self-winding FBN Calibre 229.01 which is equipped with a unidirectional pawl-fitted micro-rotor and guarantees a three-day power reserve. 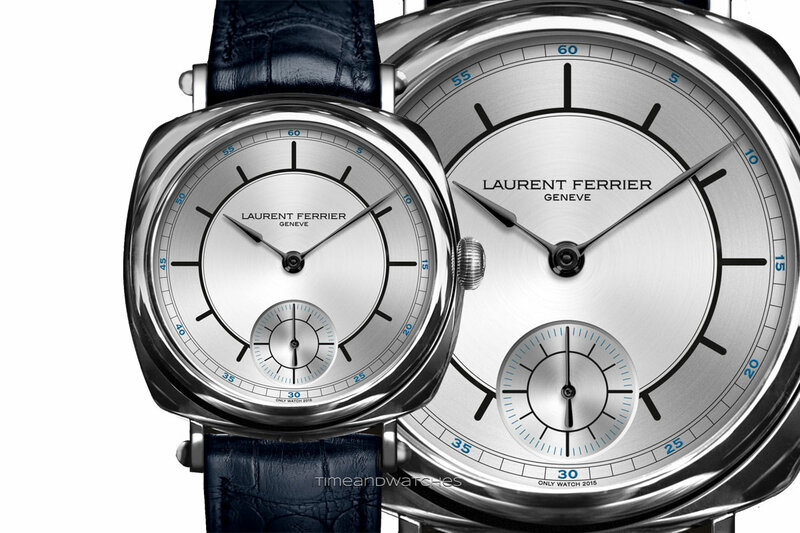 The exclusive silicon escapement offers the advance of giving two impulses per oscillation (1 oscillation = 2 vibrations). 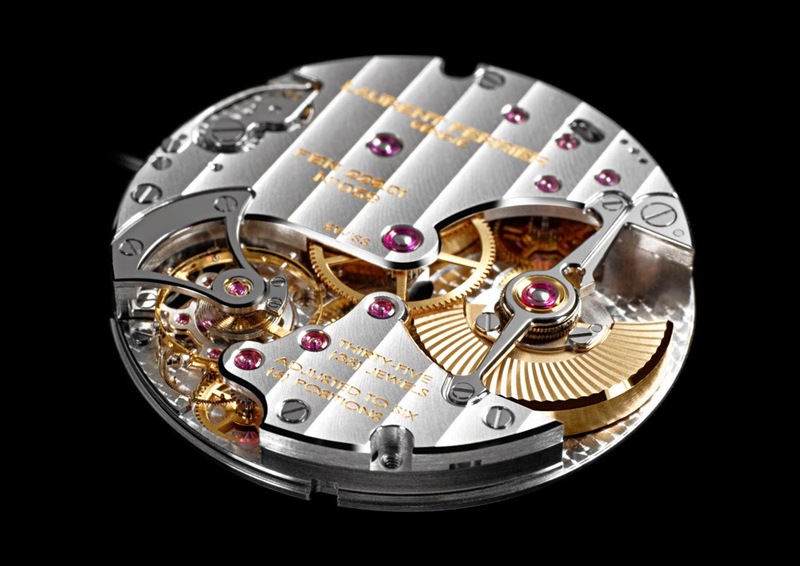 This means that the movement frequency of 3 Hz (21,600 vibrations per hour) impulses the balance 21,600 times per hour so maximising the restitution of energy and reducing the torque required to wind the mainspring. 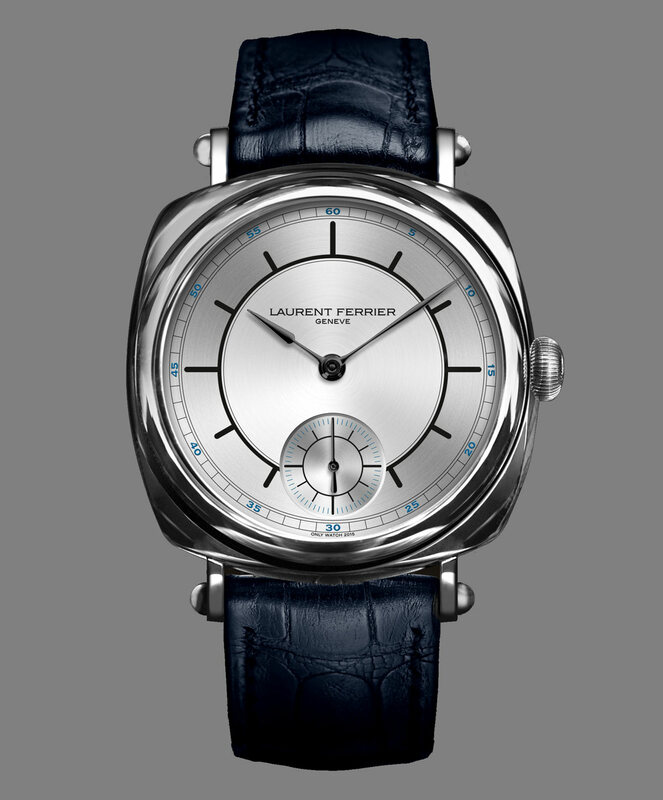 Laurent Ferrier Galet Square for Only Watch 2015; Some forty brands have already confirmed their participation in Only Watch 2015 and Laurent Ferrier is the first brand to present its unique timepiece developed for this special occasion: an unprecedented version of its latest model, the Galet Square, characterised by a two-tone silvered sector dial typical of the late 1930s and new straight lugs.